Leading real estate expert John McGrath says regional property markets, and Western Sydney are set to see massive growth, in the 2019 McGrath Report. 98 Sublime Point Road, Leura, Western Sydney sold by Matthew Gale and Paul O'Riordan of McGrath. Pictured: Real estate expert John McGrath. Real estate veteran John McGrath believes regional property markets are "the new black". "Regional bridesmaid cities are beginning to rival the real estate brides of Sydney, Melbourne, and Brisbane with their impressive population growth, buzzing local economies, improved amenities and infrastructure, affordable housing, and increasingly attractive lifestyle, as our capital cities get busier and more expensive," Mr McGrath says in the latest 2019 McGrath Report. The report reveals Australia's leading regional hubs - the Gold and Sunshine Coasts, Geelong, and Newcastle are currently seeing significant price growth off the back of strong demand. Mr McGrath says improve infrastructure has made commuting times faster between regional suburbs and capital cities. Coupled with the NBN rollout, and GovHubs bringing more jobs to regional areas, buyers are beginning to see the appeal of these regions. 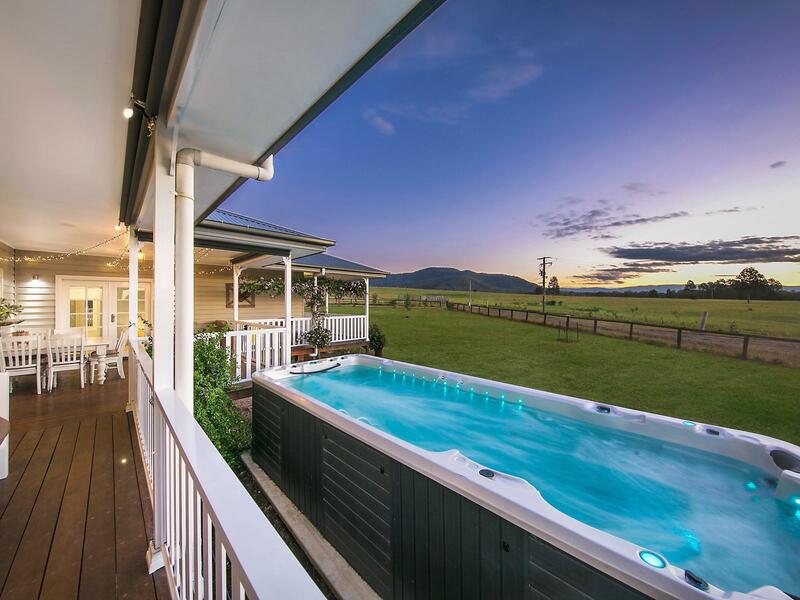 Pictured: 137 Dry Creek Road, Ellalong, avail through Tahlia Parker and Brendan King of McGrath as seen on Luxury List. "No longer sleepy, second tier towns overshadowed by the glamorous capitals, many of Australia's regional cities have come of age and are now thriving economic centres with hundreds of thousands of residents," Mr Mcgrath said. 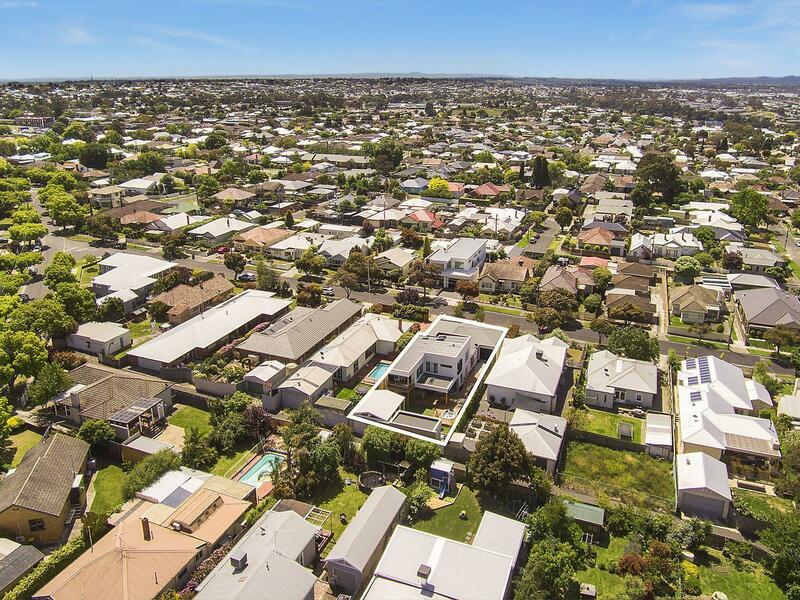 "Large regional cities are currently some of the East Coast's best performing property markets, largely due to the ripple effect following Sydney and Melbourne's peak." The report identified Geelong as the top performing regional city, with a median house price growth of 9.8 per cent over the last 12 months. With a median house price of $505,000, it's still vastly cheaper than Melbourne's median house price pf $740,000. "Newcastle's appeal to cash poor, asset rich Sydney residents is obvious. As Australia's largest coal port by volume, and the economic hub of the Hunter Valley, it boasts a world class university, vibrant coastal lifestyle, and strong employment growth," Mr McGrath said. Real estate agents in Geelong tell WILLIAMS MEDIA they're noticing a growing number of enquiries coming from Melbourne. First-home buyers lured to affordable homes, and investors seeking higher yields are leading the pack. "They probably make up about 25 per cent of our enquiries," says listing agent Peter Fort of Witford Newtown, who specialises in property within 5km of Geelong's CBD. "Many buyers from Melbourne are selling up and moving to Geelong to be mortgage free. With the city only 55 minutes from Melbourne, many of those moving to Geelong still work in Melbourne. Pictured: 17 Orr Street, Geelong, sold by Jim Cross of McGrath as seen on Luxury List. "There are plenty of jobs in Geelong, said Fort, with strong health and education sectors. Buyers are also attracted to the lifestyle benefits of big blocks of land and proximity to "arguably some of the best beaches in the state", said Fort. REIV President Richard Simpson also notes more people are considering buying in regional Victoria. 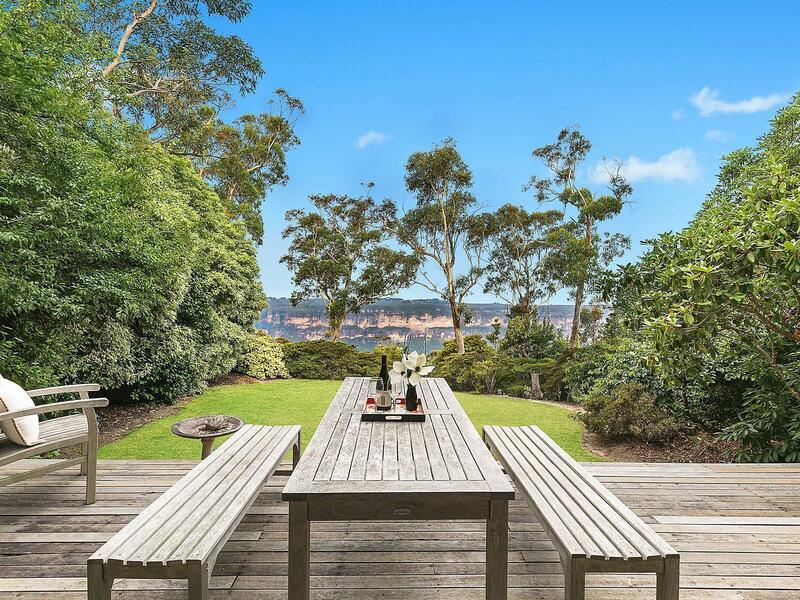 “Whether for reasons of housing price or a change in lifestyle, more prospective buyers are willing to look to regional Victoria to purchase. The possibilities of better transport connections with Melbourne now make that option even more palatable," Mr Simpson told WILLIAMS MEDIA. Mr McGrath also believes Western Sydney has "vast untapped potential" and people should invest there now to reap the rewards. "We are on the cusp of what will go down in history as the great renaissance of Western Sydney," says McGrath. Despite softening prices across most of the Sydney market, Mr McGrath is upbeat about the long-term future of Sydney's west. "New infrastructure about to come online will buck the trend and re-rate local home values in certain areas. Billions of dollars in government investment, hundreds of thousands of new jobs, massive new public transport, and Sydney's second international airport are set to transform this region and electrify our most affordable housing market," McGrath says. RiskWise CEO Doron Peleg told WILLIAMS MEDIA that Parramatta has become a "suburb of choice" with strong long-term capital growth forecast. Pictured: 98 Sublime Point Road, Leura, Western Sydney sold by Matthew Gale and Paul O'Riordan of McGrath. As seen on Luxury List. "While in the past Parramatta has been considered a less desirable area for investors and a compromised decision, with the only positives being affordable housing and the CBD only 23km away, it's now become a suburb of choice thanks to its changing face as a sub-city of Sydney," Mr Peleg said. “In the past residents had to commute to the Sydney CBD to work but things have changed, and the entire area has been developed with additional infrastructure projects which means more employment opportunities and a swelling population. “Because of this, capital growth for houses is projected to be strong in the medium and long term, particularly due to strong projected demand mainly by owner-occupiers,” said Mr Peleg. Several major infrastructure projects are in the works for Parramatta, including the $2.8 billion Parramatta Square, the Parramatta Light Rail, and Westconnex which will shave 25 minutes off commute times between Parramatta and the CBD. "Western Sydney is the one area of Sydney with vast untapped potential and the land required to capitalise on it," McGrath says. "The future of this region begins now - its impending rebirth coupled with today's cooling market provides an incredible opportunity to invest now and reap maximum rewards in the future." Read the 2019 McGrath Report here.